Omar Dean, 25, is one of Australia’s hottest talents with a unique soulful sound that has captured the hearts of many, globally. Omar is a Pop RNB singer, songwriter influenced by the sounds of Prince, Justin Timberlake, Usher, Miguel and Maxwell. Becoming Known as the falsetto king- Omar busked the streets of Melbourne, Australia with a goal to become a household name. In 2013 (Age 18) Omar achieved this goal due to his success on The X-factor Australia where he secured his place in the top 12 acts of the country, ranking 6th finalist. Omar’s performance and vocal ability grabbed the attention of millions and received praise from artists such as Usher, Chaka Khan, Kelly Osbourne, Ronan Keating, Red Foo and Dannii Minogue. Omar’s dedicated fan base and respected reputation in the music industry continued to grow allowing Omar to spend the next few years touring and performing to large crowds on some of the worlds biggest stages. Since, Omar has been writing and recording original material and is set to consistently release new music for his fans. 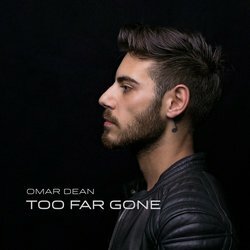 RNB Singer/songwriter,Omar Dean, makes his debut with his first single, "Too Far Gone". This thought-provoking track tackles the difficult questions about desperate attachment, and the search for one's true fulfillment. "Too Far Gone" explores the concept of how time plays an integral role in the shifting dynamics of a relationship, and forces perspective on what is worth fighting for.